Are you looking for your wedding table decorations? You have come to the right place! 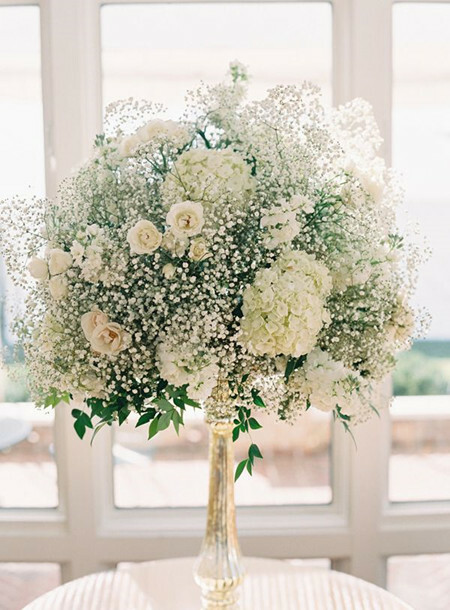 Never has baby’s breath centerpiece looked so good and elegant. 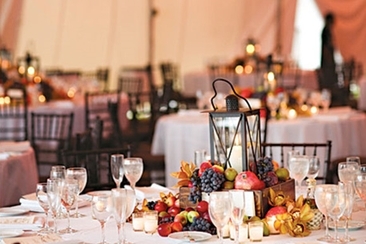 We have the perfect centerpiece ideas for you. 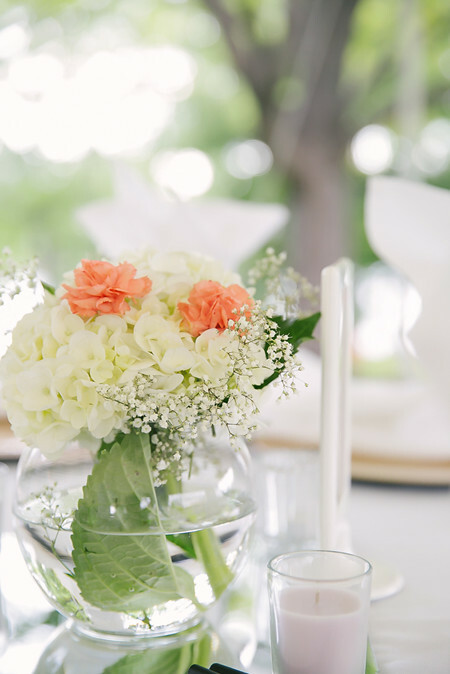 Add a lovely and delicate look with these centerpieces whilst saving money on your wedding. 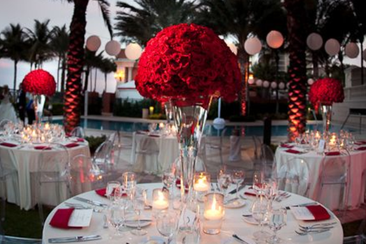 Your wedding centerpieces will look amazing and will make the ideal wedding stunning. 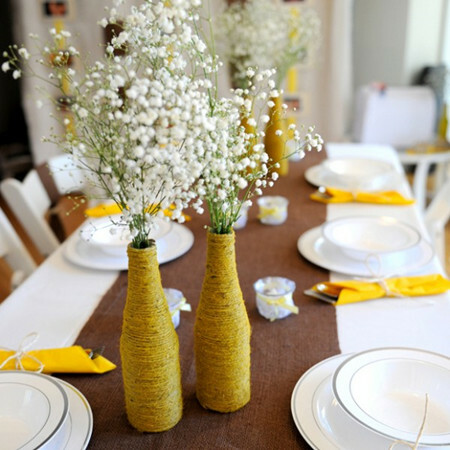 Make your table centerpiece stand out with a tall fluffy baby’s breath in a clear vase. Very cheap to make and can be put together in no time. 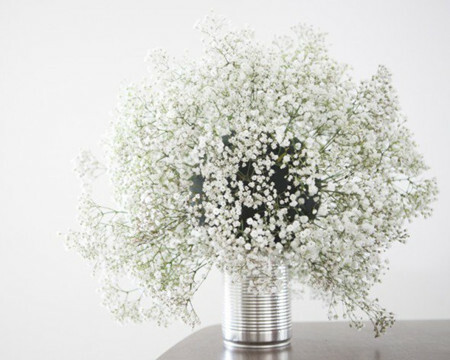 Make your baby’s breath look neat and chic in a small jar. This looks amazing and is simple to make. Make something arty and different. 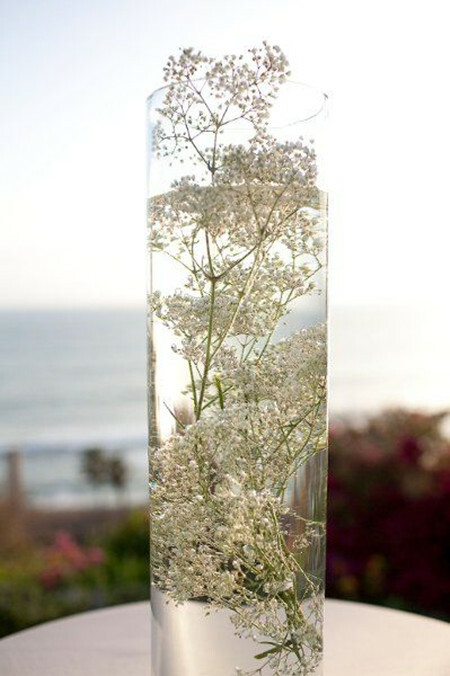 Add your baby’s breath to a tall clear vase and add some water for the stunning effect. This will be the main focal point. 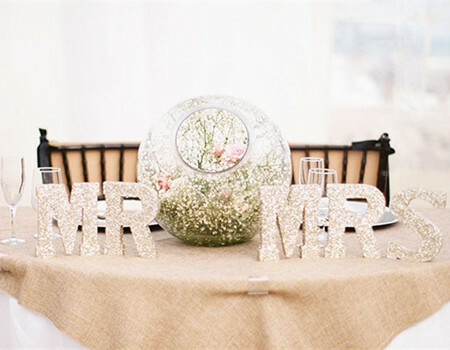 Having a vintage inspired wedding theme? Then choose this. It looks fabulous and has the vintage vibe. It also has a rustic effect with the wooden tray. 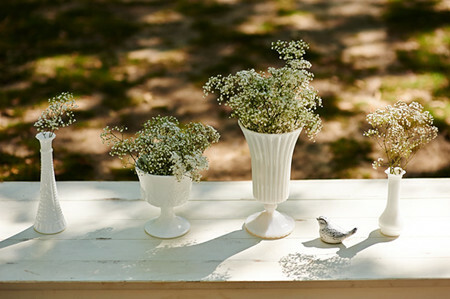 If you are craving for sophistication and class, add your baby’s breath to white vases. This will create a fresh and dashing style. 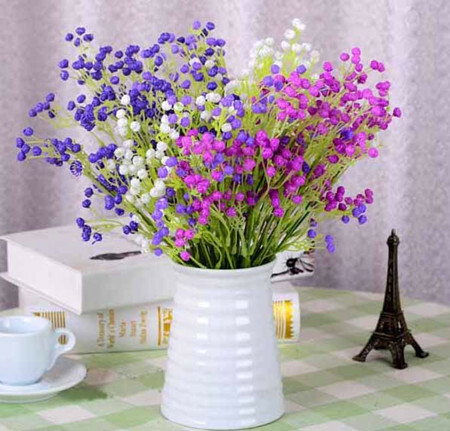 A bunch of baby’s breath mixed with other flowers looks stunning. It makes the most wonderful centerpiece. 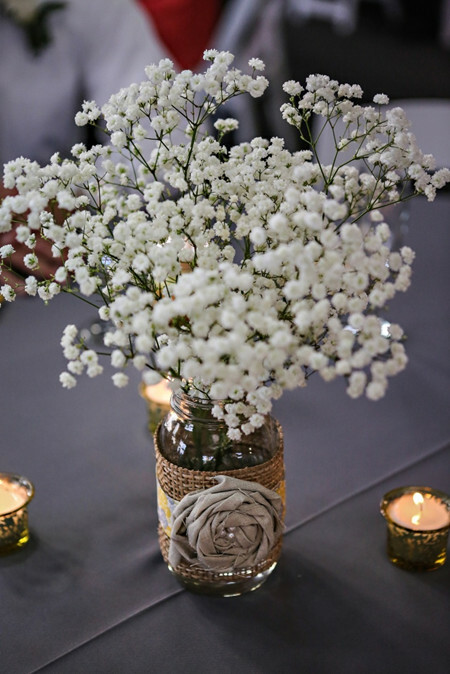 If you want the rustic effect, try using baby’s breath centerpieces with a canning jar and some jute. Very easy to put together and will fit into your budget! Make a statement and make it stand out. 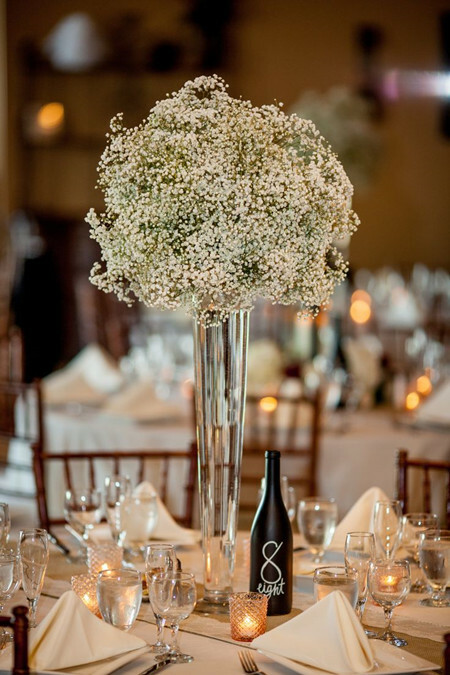 A tall and chic baby’s breath centerpiece will look amazing. 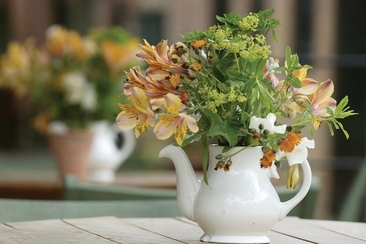 This baby’s breath jug is budget-friendly and easy to make. Use either string or jute and wrap it around a large jug. Then add the baby’s breath to finish the look. Create a masterpiece of art with your baby’s breath. All you need is a large case, water and a tea light candle. It is very simple and budget friendly. Using burlap to incorporate grace and sophistication is inexpensive and looks fabulous. It shows style and thought behind the look. 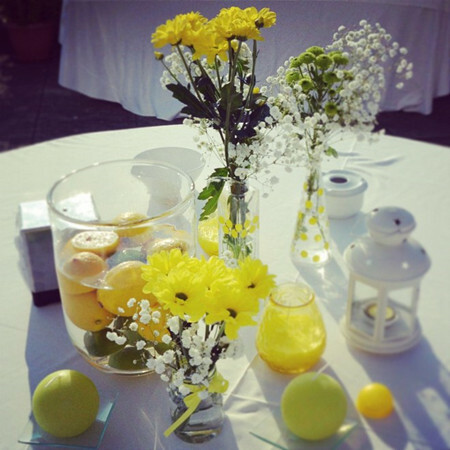 Add a splash of color by adding lemons and limes to your baby’s breath centerpiece. This is a low-priced, effective way to brighten up your wedding tables. 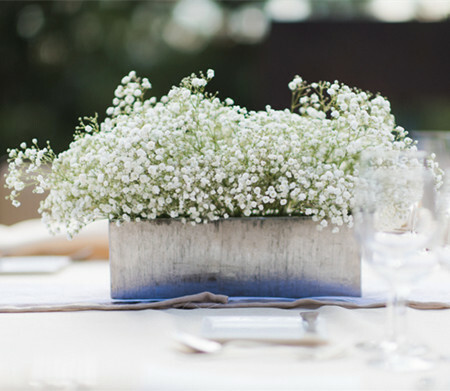 Baby’s breath is low-cost, so if you build a centerpiece with it, go huge or go home! 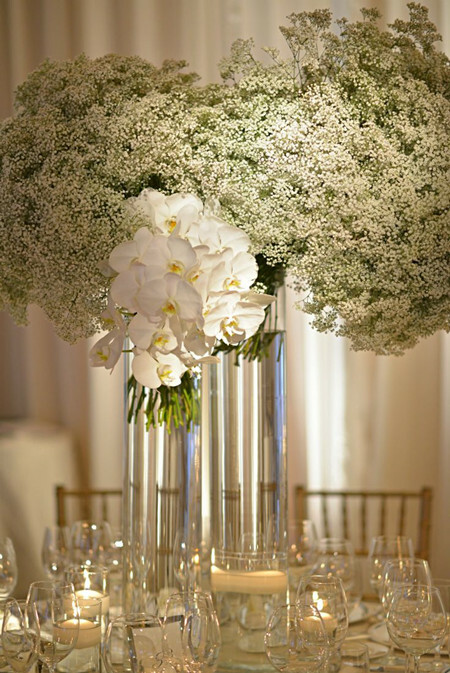 By using baby’s breath with long clear vases, shows a timeless and classic style. Who said you have to spend a lot to achieve perfection?! 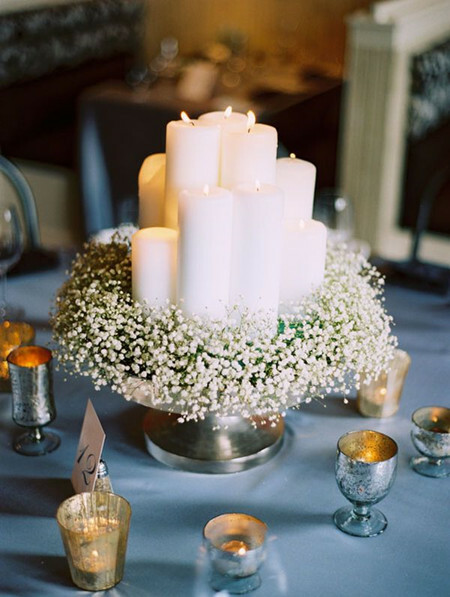 Baby’s breath and candles are flawless together. They look romantic and set the ambiance within the room. 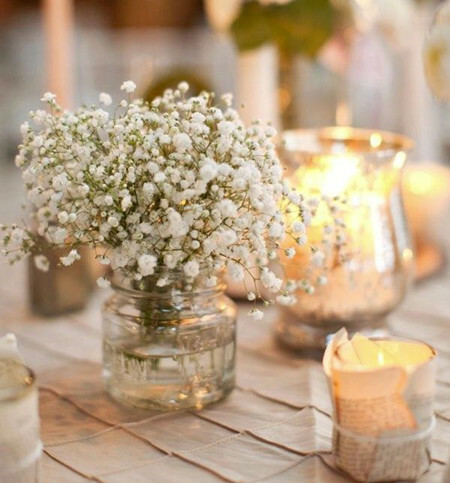 In addition, baby’s breath makes the seamless base for any centerpiece. Pair your baby’s breath with any color. 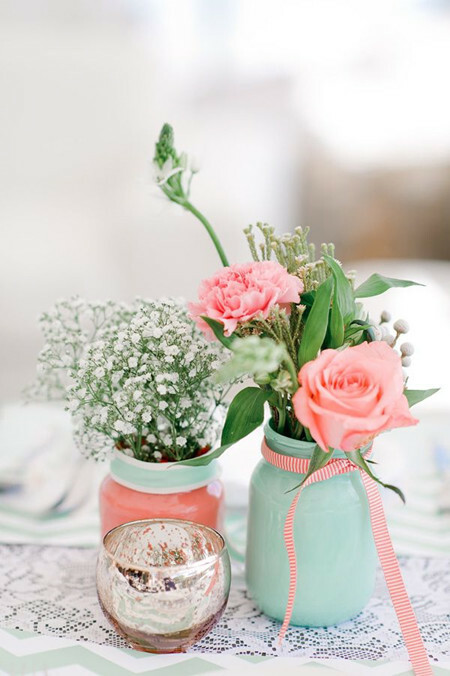 These gorgeous pastel colored jars look amazing and will be a perfect match for your wedding theme. 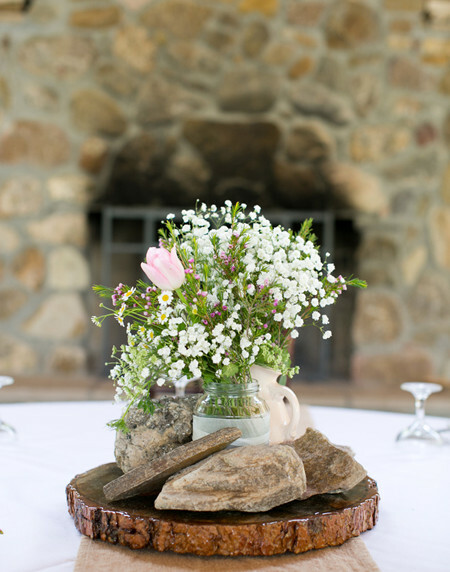 Make it the centerpiece with wood and stones for a flawless and naturalist style. 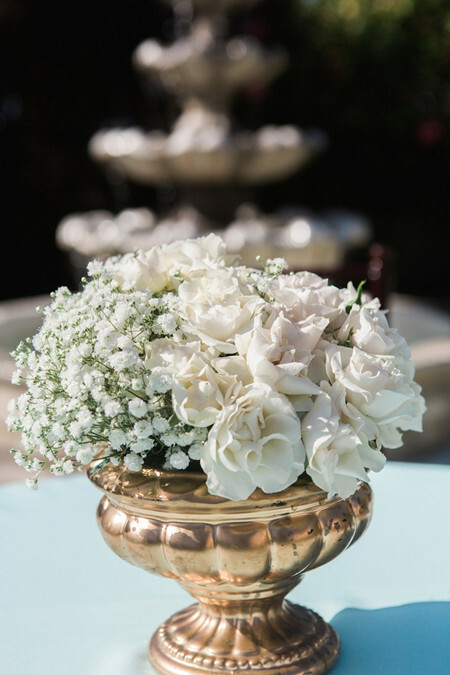 Go for the orb vase and baby’s breath to celebrate your wedding. It is stylist, attractive and beautiful, what more could you ask for? 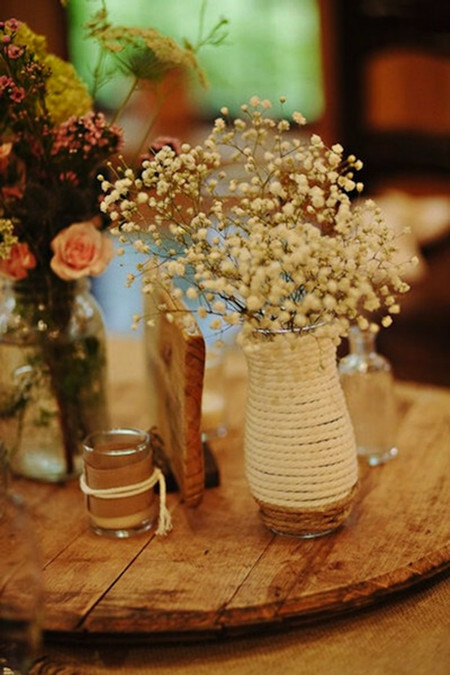 If you are looking for a low-cost way to show off you baby’s breath centerpieces, recycle your bottles and add some jute. The jute will add color to enhance your table. Combined with white and peach colored roses in a modern clear glass vase, the baby’s breath comes to life and shows off a clean and vibrant style. Having an outdoors, rustic wedding? 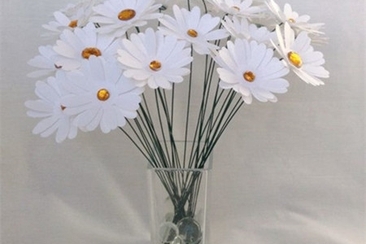 Fluffy centerpiece will fit effortlessly with your theme. This is simple to make yet very beautiful. 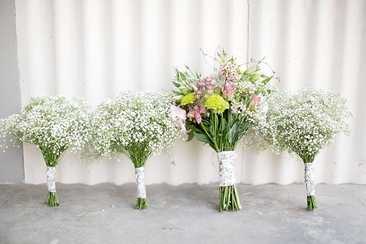 Baby’s breath is often found in different colors, so why not mix them together. This shows a gentle and fresh look whilst standing out. Match the colors with your wedding theme for that special touch. 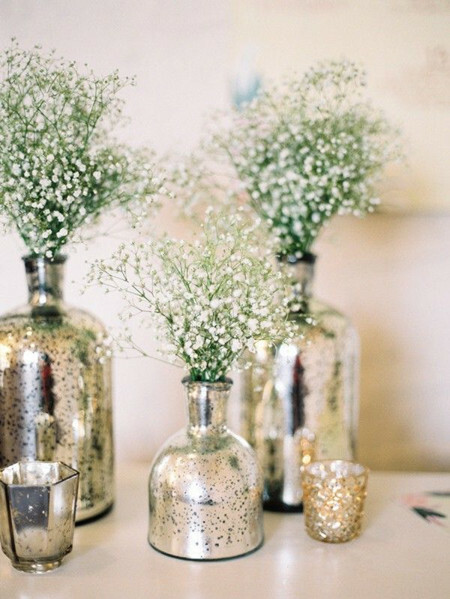 Add some sparkle to your baby’s breath centerpiece with these adorable bottles. Add the shine and oomph to any table and your guests will think it’s fabulous. 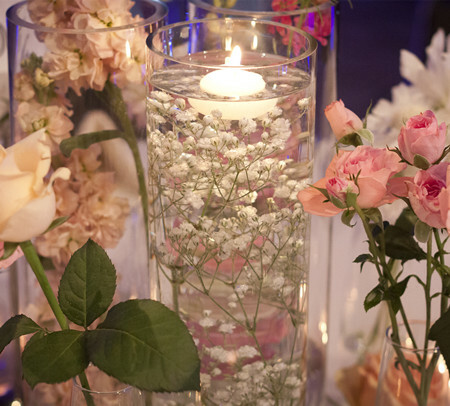 You can create a half and half creation with roses and baby’s breath. This looks absolutely divine and will give off that stylish and graceful appearance. 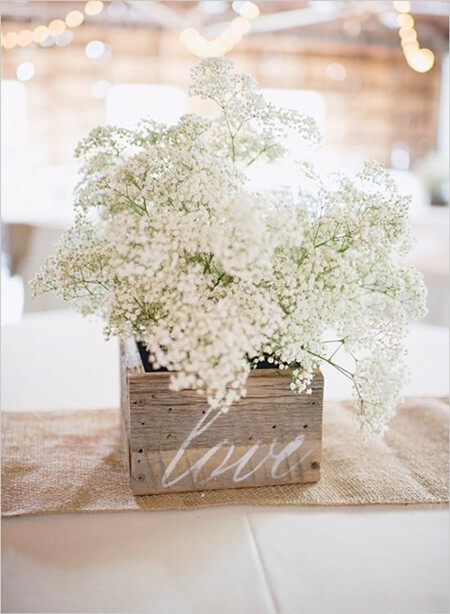 Add a bunch of baby’s breath for this spectacular, well-designed and simple look. Place into a can and you have a wonderful, garden centerpiece. 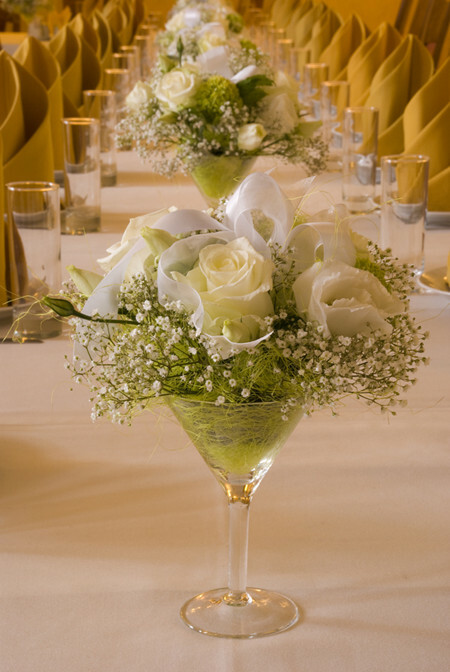 We absolutely love this large cocktail glass with baby’s breath, a few roses to add the special touch. This is inexpensive and so easy to put together. It shows off your art and design side that will match your wedding theme. For How Long Does Baby’s Breath Last? 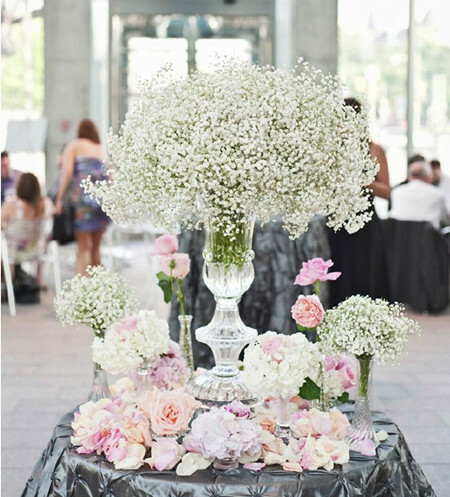 Wondering how much time does babys breath continueso you can incorporate this budget-friendly, versatile flowers into your wedding day décor? From proper care to inspiring ideas, we’ve got you covered! Find the right centerpieces is not an easy task and when it comes to a red, white and black table centerpieces, it’s even harder. We’ve made things easier for you with these ideas. How Much Are Peonies Per Stem? 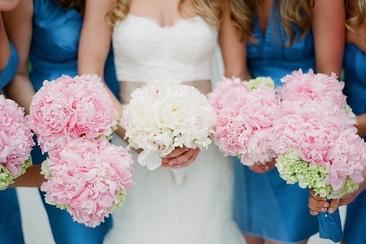 How much are peonies per stem? Well, it changes with reason and colors. For example, from April to June, the cost will be much less than that in October! Read this article to find out! Rustic wedding theme surely judges your creative and decorative abilities. Here are best and unique ideas to create rustic wedding centerpieces on your big day. 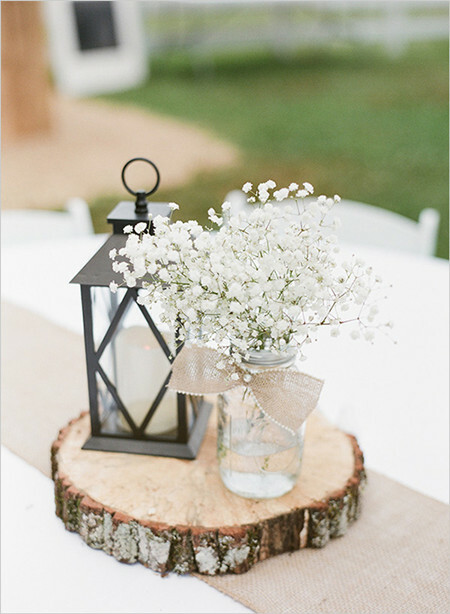 Looking for wedding centerpieces ideas? They can be much less of a hassle if you utilize your current possessions along with the artist within you. Learn how here!